The founding states of the new Asian Infrastructure Investment Bank (AIIB) have approved the applications of Brazil, Georgia, Finland, Denmark and the Netherlands as founding members, the Chinese Finance Ministry announced Saturday. "With the consent of the existing founding members, the Netherlands, Brazil, Finland, Georgia and Denmark officially became founding countries of the AIIB on April 12," the ministry said in a statement on its website, adding that the total number of founders has now reached 46. The founding members have a priority over others, as they possess the right to establish the rules for the bank’s activities. Applications to join the bank with the rights of founding members were filed by 52 countries, including Russia. The final list of AIIB founding members will be announced April 15. The United States and Japan are the two big holdouts who have abstained from joining the AIIB. Earlier media reported that China had rejected the request of North Korea; however, the country’s Foreign Ministry hasn’t confirmed this information, saying that it "doesn’t possess any relevant information." Taiwan has applied for membership in the AIIB despite the animosity and lack of formal diplomatic relations between the island and continental China. 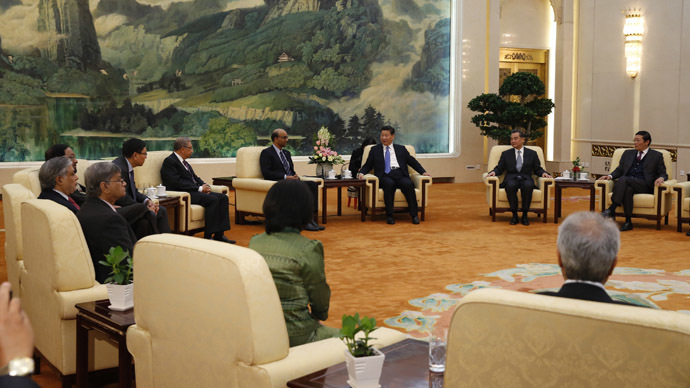 Experts consider AIIB a potential competitor to such global financial institutions as the US-led IMF and World Bank. However, IMF chief Christine Lagarde said earlier in March that the IMF and the World Bank would be "delighted" to cooperate with the AIIB. Beijing has repeatedly said that AIIB will be a fine complement to the existing international financial institutions. In October 2014, 21 countries signed the agreement on establishing the AIIB, which is intended to finance infrastructure projects in the Asia-Pacific Region. The bank plans to rapidly increase its initial subscribed capital of $50 billion to $100 billion.